The great pencil skirt pattern is from Butterick and the 1980's. Slit in the front, and zipper closure in the back. It even has pockets at the side seams. 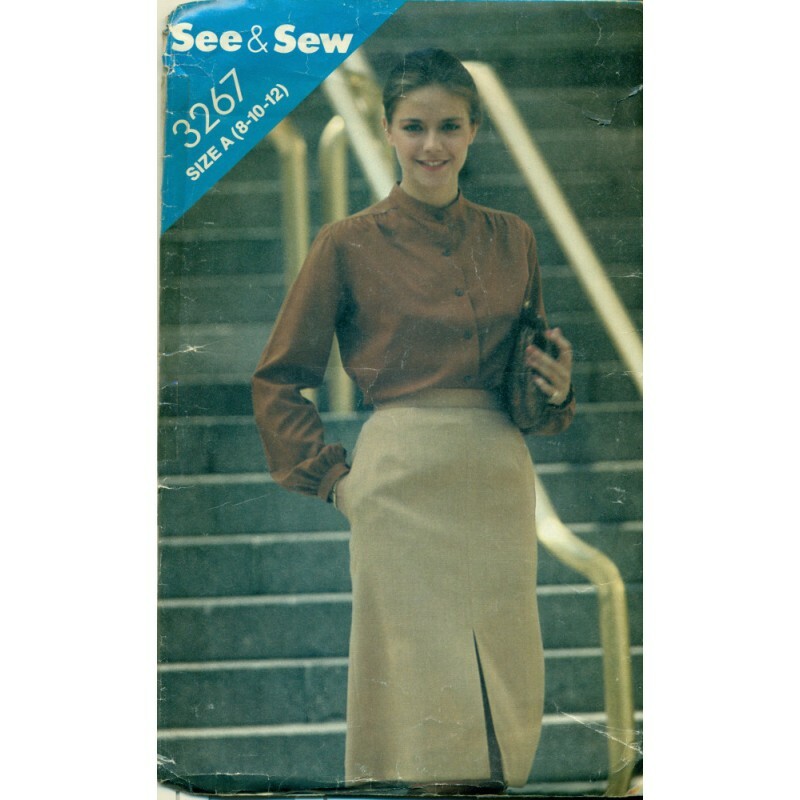 A See & Sew pattern. Condition : Pocket and Waistband pieces are missing. All other pieces including the instructions are here.